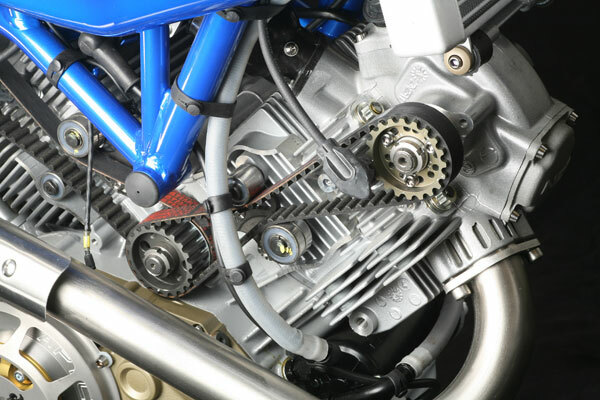 A project developed jointly with Ducati North America upon their request. 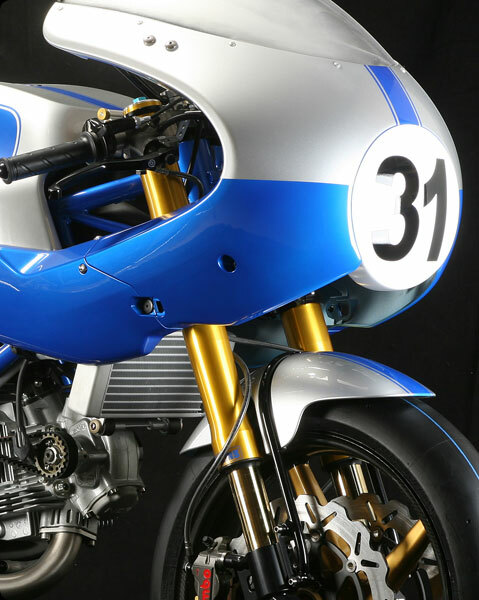 This bike is a limited edition, to be used on tracks only, and it is a homage to Cook Neilson's 1977 Daytona victory on a Ducati 750SS, known as OLD BLUE, tuned by Phil Schilling. This was the first victory for an Italian brand in the USA, and therefore a huge boost for that market. The platform is the new Ducati Sport 1000S 07, completely tuned by NCR and made lighter in all its parts, reaching a weight of 150 kg compared to the 188 kg of the street legal model (that is a weight reduction of 38 kg, or over 25%), and the power has been increased by 40% reaching 116 HP. 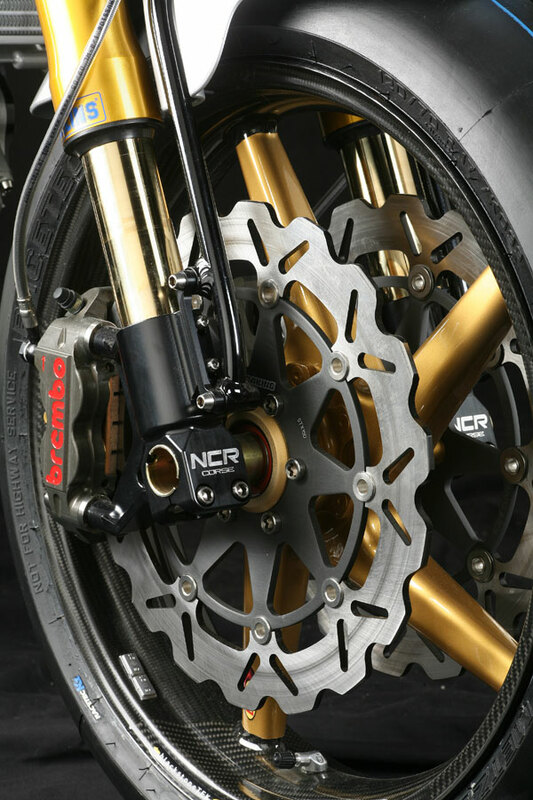 The engine is the new 1100NCR, components and braking system are of racing origin: everything is made in Ohlins, Brembo and Poggipolini Titanium. The exhaust system is an extraordinary titanium 2-1-2, weighing 4 kg. models, available on the new website www.ncrfactory.com. The technology employed by NCR relies on new prototyping technology. 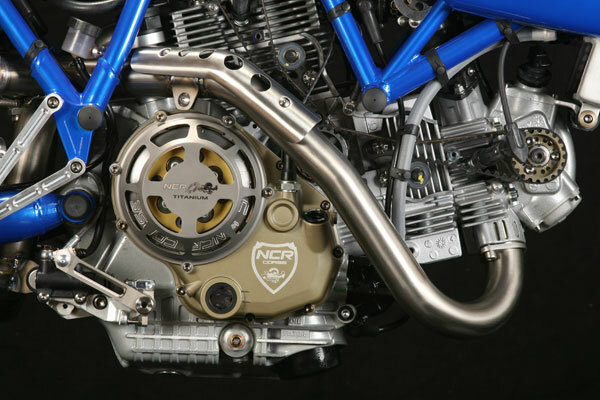 For example, in the development of the NEW BLUE model, many parts were made using rapid prototyping technology used by NCR/POGGIPOLINI GROUP, which allows to test every component directly from 3D CAD to a functional part using sintered powder. This process eliminates final errors, thus guaranteeing maximum precision, fit and functionality.